Emily Erdman, now a senior student at Quinlan School of Business joins our blog as a guest author. Her blog has focused on gender discrimination and its effect on Enterprise Risk Management. This is her last post on this subject. Please join us with your comments. Emily Erdman, a junior student at Quinlan School of Business joins our blog as a guest author. Her blog will focus on gender discrimination and its effect on Enterprise Risk Management. Please join us with your comments. 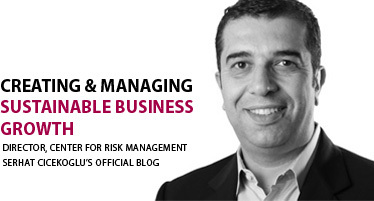 This blog will focus on topics in enterprise risk management domain to provide readers insight on how-to deal with challenges around sustainable growth for their organizations.